This story is about a young girl named Ella Minnow Pea. She lives on an island called Nollop - off the coast of the United States. According to the people there, the founder - Nevin Nollop - came up with the saying: "A quick brown fox jumps over the lazy dog" - a sentence we all know from our childhood that contains every letter of the alphabet. The saying is on individual letter tiles in town - in front of a statue of Nollop. One day the letter z tile falls off the sign and breaks. A little girl picks up the pieces and takes it to the town council. The council sees this as a sign from Nollop that the towns people can no longer use the letter z in any letters, books, talking, etc. The towns people - on the whole -think this is crazy, but decide to go along with the council. If they don't they first get a warning. 2nd they get a lashing or put in the wood stocks in town, and 3rd - banished from the island. Soon more and more tiles are falling off the sign and each time, those letters are banished from use by the towns people. A lot of people start leaving the island - some voluntarily - some not due to accidental use of those letters. One girl - Ella - and a man from American - Nate - talk to the council and try to tell them that it is just old glue, not Nollop himself, that is making the tiles fall off. The don't believe it, but do agree that if Nate and Ella can come up with a NEW sentence with 32 letters in it (all alphabet letters) then they will reverse the restricted use of letters on the island. Will the sentence get made before all the tiles fall off and no letters are left to be used? This book was short and really cute. It became funnier and funnier to see the towns people try to figure out how to write letters to each other without the use of certain letters. The even took to renaming the days of the week and months of the year. It could be viewed as a symbol of what it would be like if a small few controlled the many. Hmmmmm.....sound familiar? Take a look at this book. IT is well worth a read! Almost the end of another month! This is the story of Arthur Pepper. He is a recent widow. The story opens 1 year after his wife has died of pneumonia, and he is still mourning her loss. He keeps to himself, and doesn't stray from his daily routines, even though she is gone. He is estranged from his two children, and barely leaves the house. His daughter finally convinces him that a year is long enough and Arthur needs to pack up his wife's things and donate them. When he starts to pack up her things, he finds a charm bracelet he has never seen before. It has eight charms, and as he studies it, he sees that one charm - an elephant - has a phone number on it. He calls them number and this starts his journey to discover that his wife had an entire life he didn't know about before they were married. His journey takes him to India, London, France - just to name a few. Along the way he meets interesting people and does things he would never had done if he had not found the bracelet. He becomes a completely different person and learns to live again. This was a really sweet book. 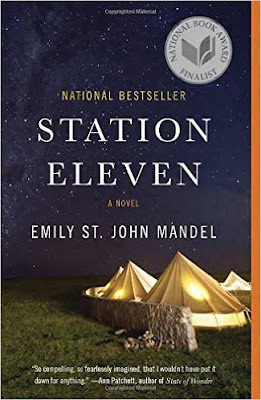 It is an easy read, and all of the characters were very likable. 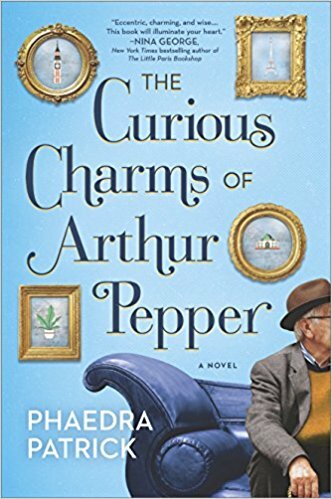 I had a hard time putting it down - wondering where the next charm would lead Arthur and what he would find out about his wife. I am sure there are many of us that had lives before we met our significant others. Things that we don't readily share with others. Why Arthur's wife chose to leave her past in the past and not share them with her husband of 40 years never really becomes clear. Maybe she felt it wasn't important. Maybe she was embarrassed. But whatever the reason - she held the secrets close to her chest. I encourage you to read this book. Maybe it will encourage you to take that adventure. Or share something of your past. 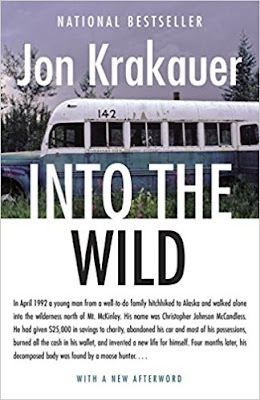 This is the true account of the demise of Chris McCandless. In 1992 McCandless hitchhikes across America to Alaska. He had donated all of his savings (around $25,000) and his meager possessions before disappearing. His parents had no idea where he had gone, and never saw him alive again. The author retraced the story to try and figure out where Chris had been and how he died. Chris' body had been found 4 months after he went into the Alaska wilderness to "live off the land". He had died of what looked like starvation. Krakauer had interviewed several of the people McCandless had hitchhiked with, worked for, and met along his journey to Alaska. Everyone Krakauer interviewed found Chris a wonderful and likable guy. But mistakes , arrogance, and being ill-prepared for Alaska caused his death. This was a great book. I like Krakauer as an author (I read Into Thin Air by him as well) and I think he is an excellent writer. He tirelessly finds everyone who McCandless had met along his 2 year journey to "find himself" and looks for the real reason McCandless died. We found out in the book that it isn't what was originally thought. Great book - don't miss reading this one. We have had company for a week, so I have been slow reading this month! This story is the true story of the Manson Murders. In 1969, Manson's "family" killed 14 people - seemingly at random. Among them was Sharon Tate, who - at the time - was an up and coming actress in Hollywood. The author of this book was the prosecuting attorney for the trial. The book is how Bugliosi built a case, his interviews with members of the Manson "family" and suspects in the murders. The book is a very detailed recount of the interviews and the trials that followed. This was a good book. 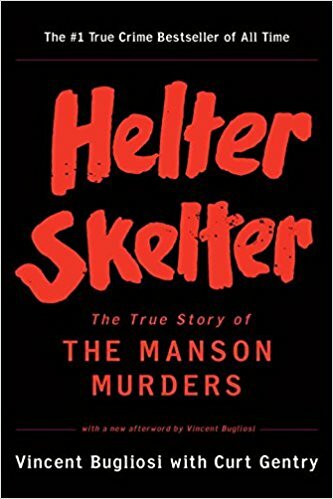 I was unaware of exactly what Manson had done (meaning whom he had murdered), so I was intrigued to learn the details. The book brings to light Manson's delusions and how he conned his many followers into believing he was Jesus Christ. I did find some of the book dry - especially surrounding the trial. I guess it is to be expected when recounting details - it felt a little tedious. But for the most part, the book was well written. This is a story about a woman named Karen Neulander. 2 years ago she was diagnosed with Stage IV ovarian cancer and was given 3-5 years to live. She is a single mother living in NYC with a six year old son, Jacob. Jacob has never met his father and his father doesn't know he exists. When Karen told Jacob's father she was pregnant all those years ago, he told her he didn't want to be a father. Karen left the relationship never revealing that she had a son. Now she is dying and Jacob wants to meet him. So Karen calls Jacob's father - Dave - and tells him about Jacob. Dave is overwhelmed and wants to be part of Jacob's life. Karen is stunned - she didn't think he would want to be involved. Dave and Jacob meet and have an instant connection. Dave is now married and settled and wants to be a part of Jacob's life. Karen fears that Dave will try and take Jacob from her, and she makes her sister promise that won't happen after she is gone. Her sister encourages her to let Dave and Jacob have this relationship, but Karen lets past hurt feelings get in the way. This book was....fine. Not great, and not terrible. I read it quickly. I liked parts of the story, but it moved kind of quickly, and none of the characters were ever developed much. Honestly - Karen seemed like an irrational crazy person most of the time. Her feelings about Dave and Jacob's relationship didn't make any sense. She was overly mad at Dave even though he never knew she kept the baby. It was HER fault he wasn't part of Jacob's life, yet she kept playing the victim in the relationship. It just was ridiculous. And Jacob - not a likable little kid. Hard to get attached to him at all - he was just a brat the entire book. I don't recommend it. It was fine, but kind of a waste. It ended abruptly with no real direction, so I say skip it. 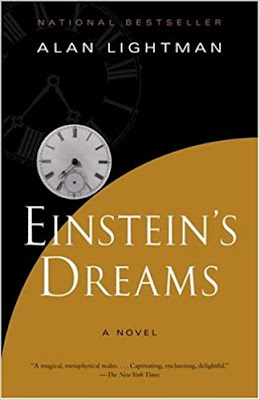 This little quick read is a fictional collection of Albert Einstein's Dreams. (Hence - the title). It is set in 1905 - in Switzerland (Bern) where Albert Einstein lived. In these stories, Einstein envisions many possible worlds related to time and space. One story - people never die. Everyone lives forever, and the dream shows how this could be troublesome. In another story - time is circular - you live the same moments over and over again. And in between some of the stories is a dialog between Einstein and a friend of his as Einstein is working on his theory of relativity. This is a good book. It was short, and entertaining, and easy to read. The stories make you think, and you can definitely see Einstein's theories play out among them. I recommend this one. It only took me an afternoon to read. A quick, fun book. 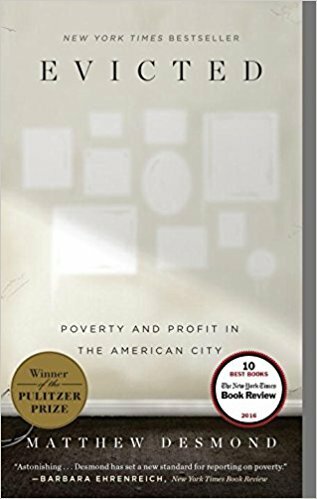 This is a biography from the author's point of view of tenant and landlord life in inner city Milwaukee. He follows eight families as they go through the eviction process and try to get back on their feet. He also follows a few landlords who are responsible for those evictions. In the book he sets to proove that poverty stricken people - especially women and children - have an almost impossible time finding affordable housing that isn't in crime infested neighborhoods. Even when they do find housing it is often without running water, or broken windows, or without appliances. He shows that the cycle of poverty is hard to break and how quickly things can get out of control. I really liked this book. My husband and I are landlords, and we own 6 rental properties and have a total of 13 units. We have prided ourselves in buying these houses from slum lords (for the most part - not all) and turning them into nice places for people to live. When something breaks, we fix it immediately. We have hard and fast rules, but we expect respect from our tenants. In the four years we have been landlords, we have learned a lot of hard lessons, but now feel like we know what we are doing. I was sickened by both sides of the stories in this book. The tenants - while poor and desolate - also were most times drug addicts or felons. Almost each story had a case where the tenant had made bad choices in their lives and they were paying for them. Hard. On the other hand - the two landlords they followed were definitely slum lords. And they weren't ashamed of it. The conditions that these folks had to live in for $500-$600 a month was disgusting. Nothing ever got fixed - especially if the renter was behind on their rent. The landlords were painted that getting rent was their only priority - not making nice places for people to live. Respect begets respect. If the landlords don't respect the tenants, the tenants don't respect the property. And round and round it goes. Sure - we are not talking about Harvard graduates in these apartments, but everyone deserves a nice place to live. If people are helped back on their feet and given a chance to "make good", then things would turn around for both sides of this story. But neither side is interested. The renters want something for nothing and the landlords want their money for nothing. It is a crazy cycle. Mat and I got into this business because we wanted to give people a nice place to live. We wanted to rid our home town of slum lords and encourage good people to move into these neighborhoods. In the case of this book - I don't see anything but a broken cycle that just makes you want to tear your hair out. This is the story of a boy who was born different. Owen was born tiny, with a strange voice, and a funny walk. He never grew to be bigger than 5 feet tall. His best friend, John, and he spent their lives looking out for each other. Owen was a firm believer in God and stated to anyone who would listen that he was "God's instrument". He had a dream that told him when and how he was going to die, and he was at peace with it. John grew up under the watchful eye of his rich grandmother. His mom had never told John who his father was - telling him she would let him know when he was old enough to understand. Then John's mother is killed in an unusual accident, he is left to figure out who his father is on his own. 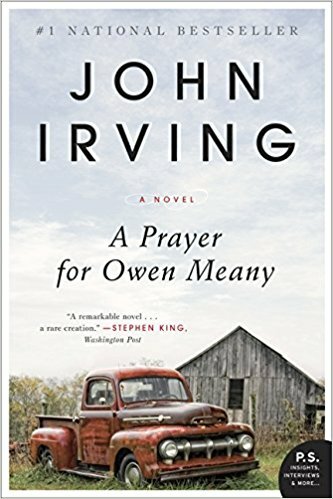 The story travels through John and Owen's childhood and early adulthood. 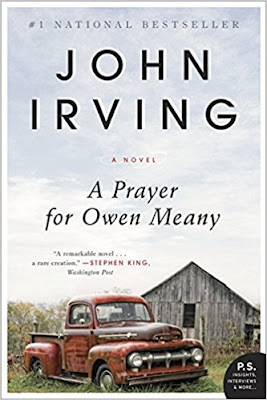 The story flips between John and Owen's early life to John's middle aged years. He tells the story as he remembers his best friend and how Owen gave him his faith in God. 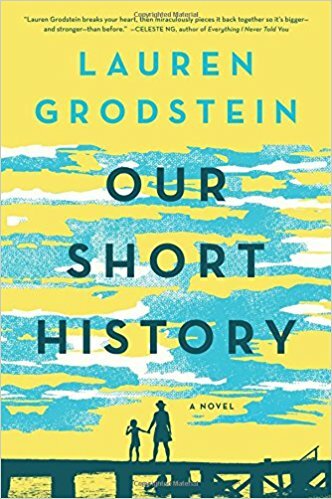 This was a really good book. 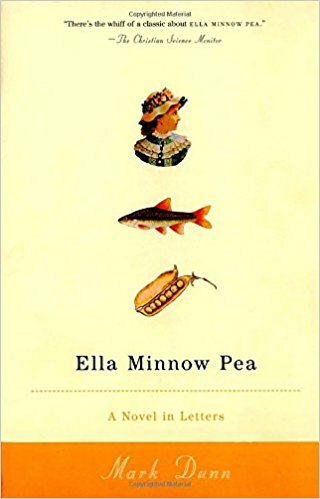 I have seen the movie "Simon Birch" which this book is based on. I re-watched it after reading this, and it follows the book pretty closely - for awhile. Owen doesn't make it past being a young boy in the movie, where in the book he lives into adulthood. The book is quite long, but it never felt boring. It flowed well. The banter back and forth between John and Owen will make you chuckle. The characters you are supposed to like - you really do. Even the saucy old grandmother grows on you after awhile. It is interesting to see how Owen shaped John's life choices - long after Owen had died. I highly recommend it. It will take you a bit to get through it, but it will be worth it in the end. 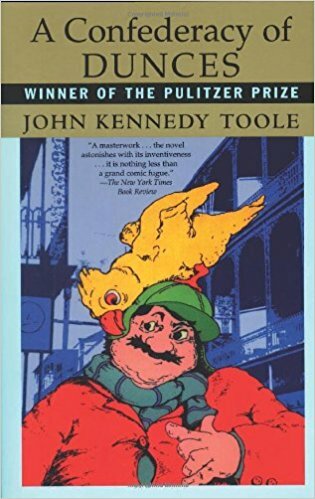 Our main character's name is Ignatius Reilly who is a 30 year old who lives at home with his mother in New Orleans. He doesn't work, but after a run in with the law, his mother forces him to leave the house and look for a job. Ignatius is self centered and delusional, and gives his mother a million excuses on why he cannot get a job, or even why he can't go for an interview for a job. He is nothing better than a lazy-man child that a reader will love to hate. This book was....weird. I didn't find it particularly funny - even though it is advertised as such. The characters were odd, and there is no way to like Ignatius even a little bit (although, I am thinking we as readers never really are supposed to). But I just kind of listened, and rolled along with the story, but never became fully invested in the book. I finished the book, but I don't recommend it. It seemed like a repetitive Vaudeville act - not going anywhere. In my opinion - not worth the time. Civilization has collapsed from disease. The population has dwindled by 6 million people from a terrible, fast moving flu. The ones that are left and struggling to survive. The book takes place 15 years after the collapse. Before the flu, a famous actor named Arthur, dies on stage. A young actress, named Kirsten, watches in horror. That evening, the flu starts to spread. People barricade themselves, but soon civilization shuts down. No more power, no more water. Now, 15 years after the collapse, Kirsten is part of the traveling symphony that moves around different settlements to perform Shakepeare. Along the way, the encounter a prophet who digs graves for anyone who tries to leave their settlement. After the troup leaves the prophet, members of the Symphony start to disappear, and the symphony is sure it is the work of the prophet. This book spans decades - going back and forth between the past and the present - showing how all the main characters are intertwined. This was a pretty good book. I am a fan of dystopian future. When I read the plot of the book, I thought it might disappoint (a traveling symphony is a failed society? Really?) but it didn't. It somehow worked. I loved how all the main characters lives cross and that leads to the discovery of who the prophet really is. It does baffle me a little bit that this author believes that 15 years after society collapse - things would still be very basic. I feel like 15 years after the plague, people would have tried to regroup and become a functioning society. Did they see "The Stand?" But maybe this book portrays a more realistic future. People would be so spread out - and scared - that they might not have the means or want to find others. Check this book out and decide for yourself. This is the story of a slave named Cora. Cora is a young woman working on a cotton plantation in the south. Her life is hard and her master is brutal. One night, a fellow slave comes to her, and asks her to escape with him on the Underground Railroad. She agrees. They get as far as South Carolina where she spends 10 months before she is discovered and turned in. On her return to the south, a group of freed slaves come upon her captors and free her. She goes to Indiana to a farm to work as a freed slave. Unfortunately, this farm is burned and she is on the run again - looking for a place where she can finally be free of hatred. This book was.....fine. I wanted to like it a lot more than I did. There were many many parts that I enjoyed. It is gut wrenching what the slaves had to endure. Just sickening. But the book overall was a mass of confusion. I had a hard time following it. There were many sections of the book that had minor characters that didn't add to the story - just added more confusion. 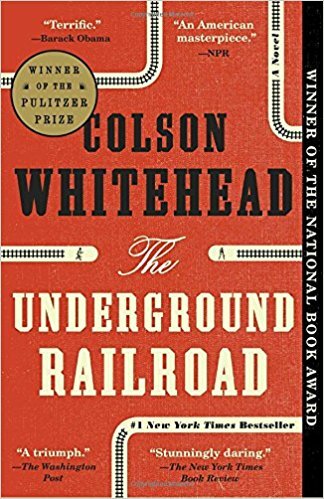 And I know this is historical fiction, but an Underground Railroad that was actually a railroad? With a train? Come on. It takes away, in my opinion, what the underground railroad really was and how it worked. People certainly didn't move quickly to escape slavery, and this author made it out to be a fast moving train that got people out quickly. I have a hard time recommending it, and a hard time not. I think there is enough information about slavery that, especially in today's climate, would be important to shed light on. If you can look past the utterly fictional parts of this book, then you might enjoy it.